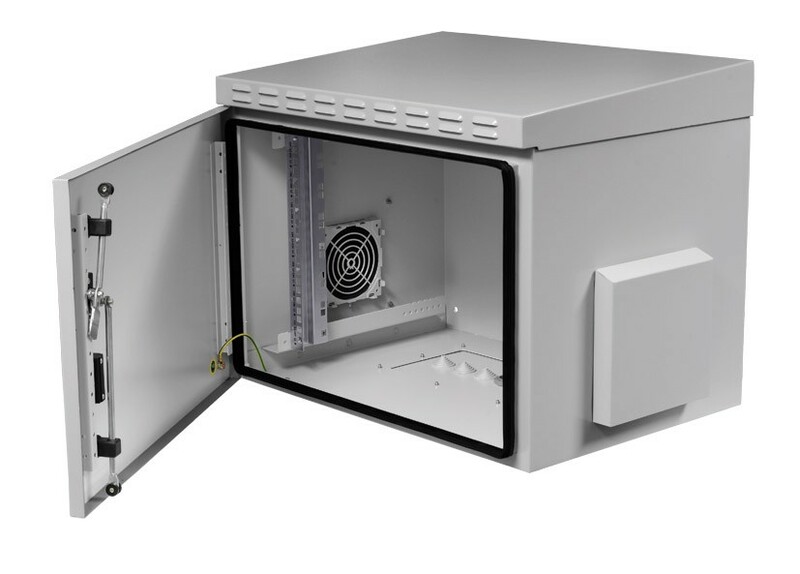 A 12U IP55 wall mount rack cabinet with a 450mm Depth. 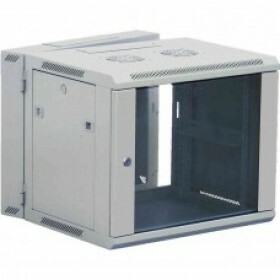 Outdoor wall data cabinet to house telecoms CATV or CCTV equipment. 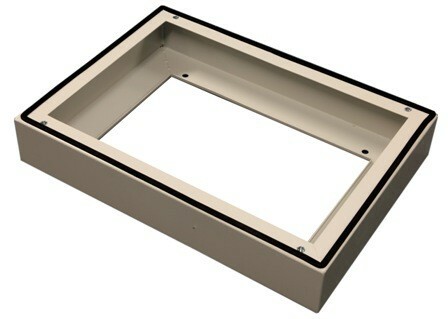 Cabinets include 19" profile with optional fans, heater and floor mount plinth. 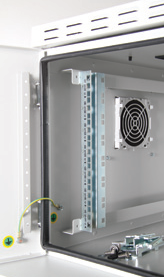 Perfect wall or roof mount external data cabinet, providing IP55 protection against dust and water ingress. 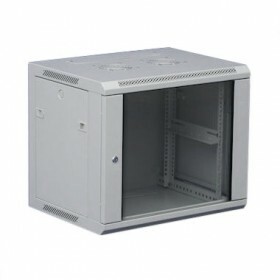 For floor mounted version please use DS-CW-1903-P.
A 12U Outdoor IP55 rated wall mount data cabinet 600mm wide and 450mm deep. Applications include open areas subjected to falling dirt and wind blown dust particles, rain, snow or splashing water. 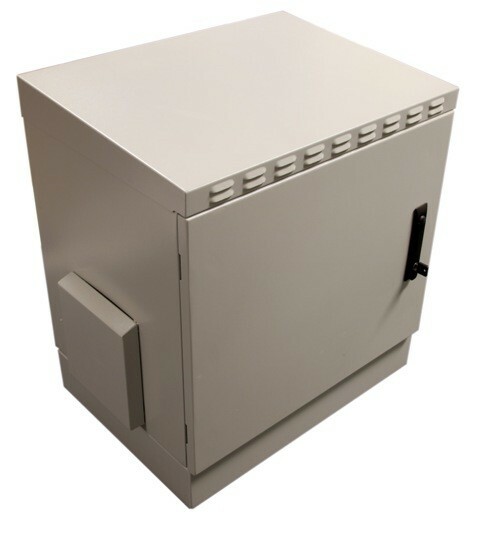 Includes door with a gasket for sealing, with 3 point locking system, isolated cable entries provide protection against water and dust ingress. 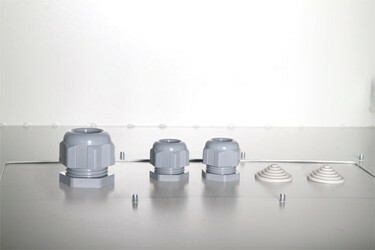 1.5mm thick monoblock welded construction, with Epoxy Polyester type powder coating to RAL 7035 Light Grey colour, providing corrosion resistance. 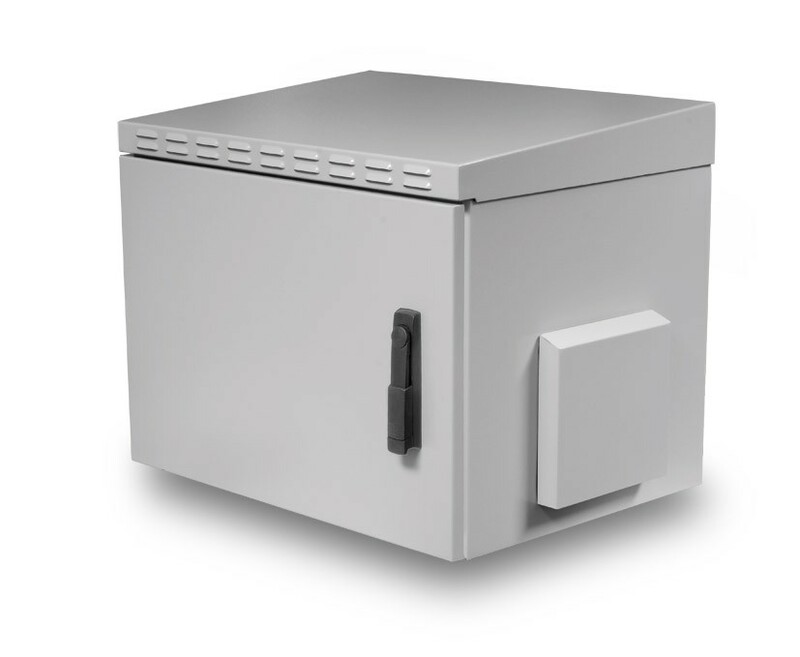 Fresh air filtered inlets to the sides of the cabinet provide natural ventilation. 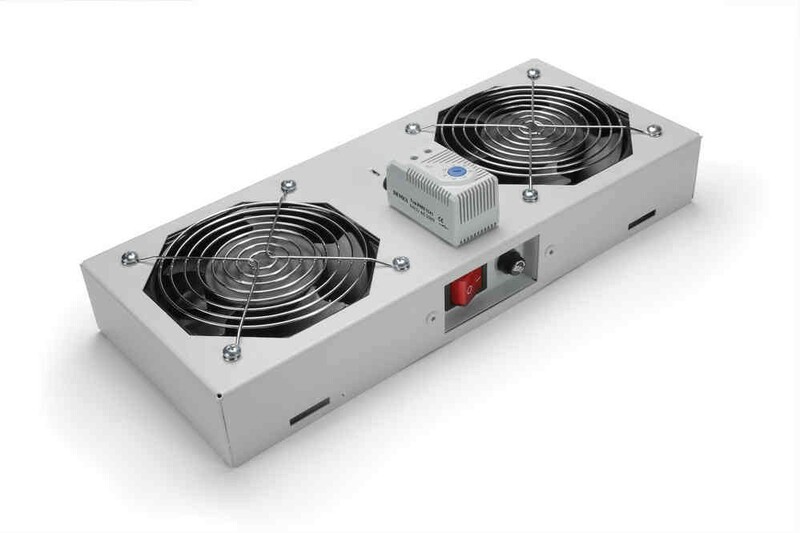 By adding 1 Fan or 2 Fan Modules, forced ventilation can be achieved. 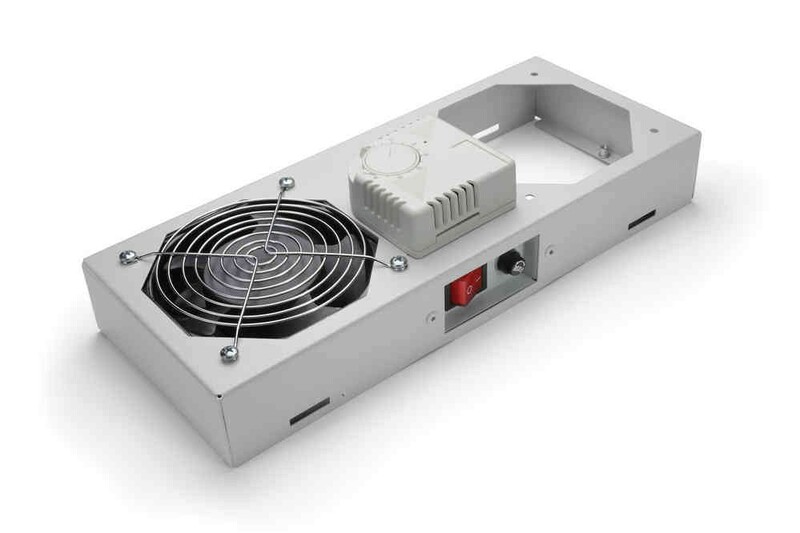 Note: Rear 19" rack profiles required for mounting heater and the shelf.